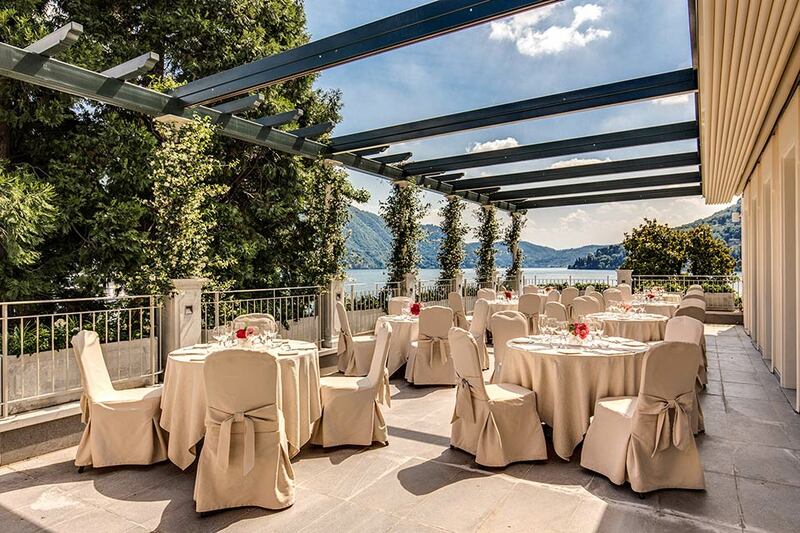 Grand Hotel Imperiale Moltrasio is an elegant Hotel on the Lake located just few kilometers from main city of Como. With its lake front gardens, enriched by a characteristic little temple, it is just perfect to host a symbolic ceremony or a cocktail. 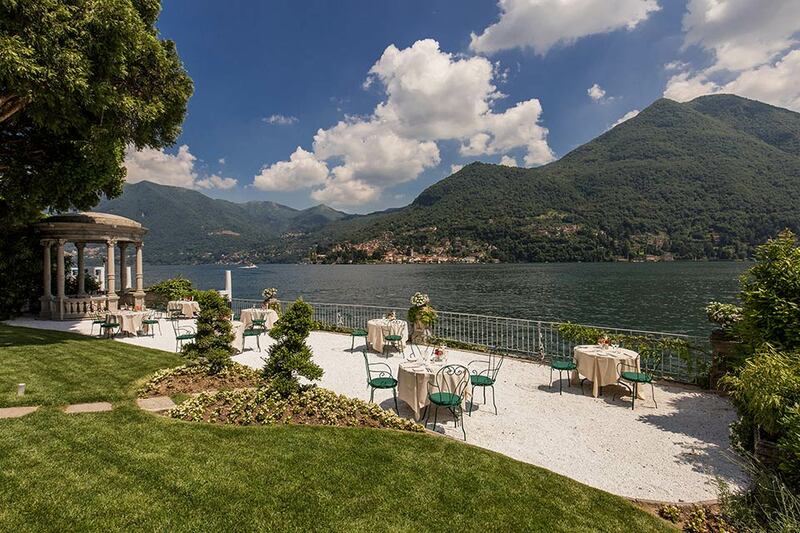 Moltrasio and the Grand Hotel are the ideal destination to visit and enjoy the Lake. 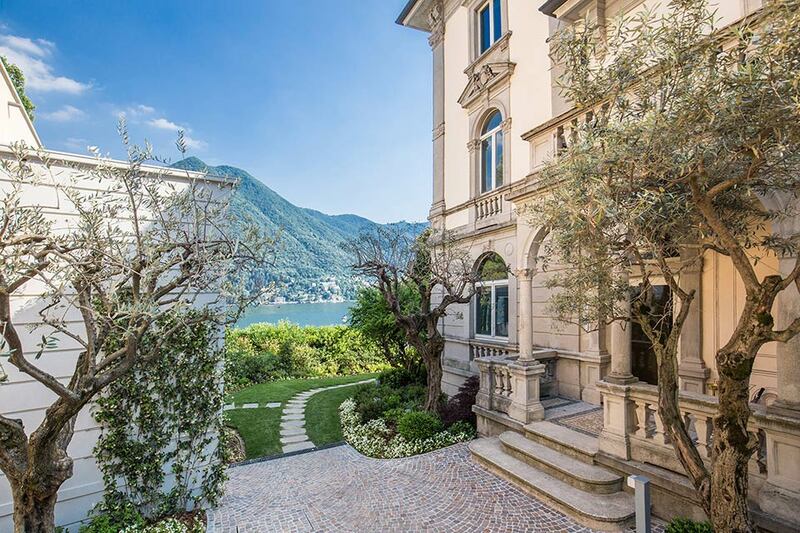 The building is a perfect match of poetic liberty atmosphere together with the rationalist traditional sobriety of Como style. This unique and historical resort is a great place to host your special event. 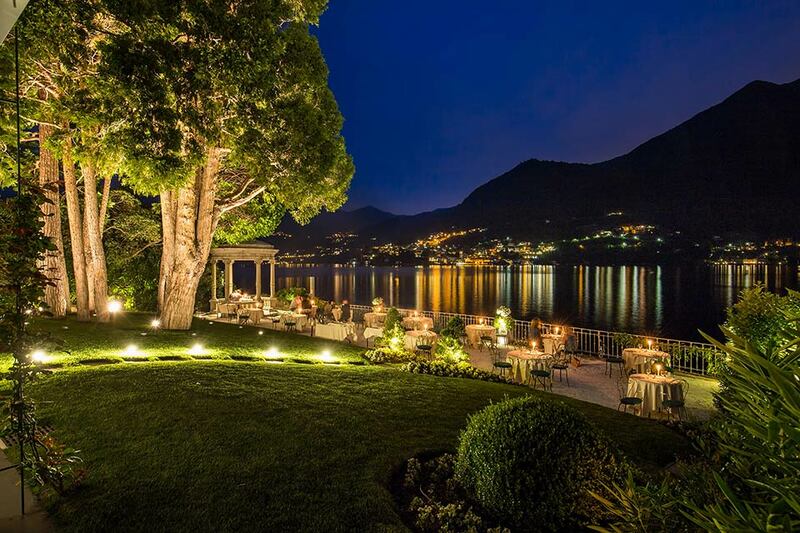 For your special stay we cannot forget to mention the swimming pool of the Hotel located on the lake side, in front of the Villa Imperiale, with direct access for boat excursions and water-skiing. This is the ideal place where you can relax and enjoy the panorama in quietness. 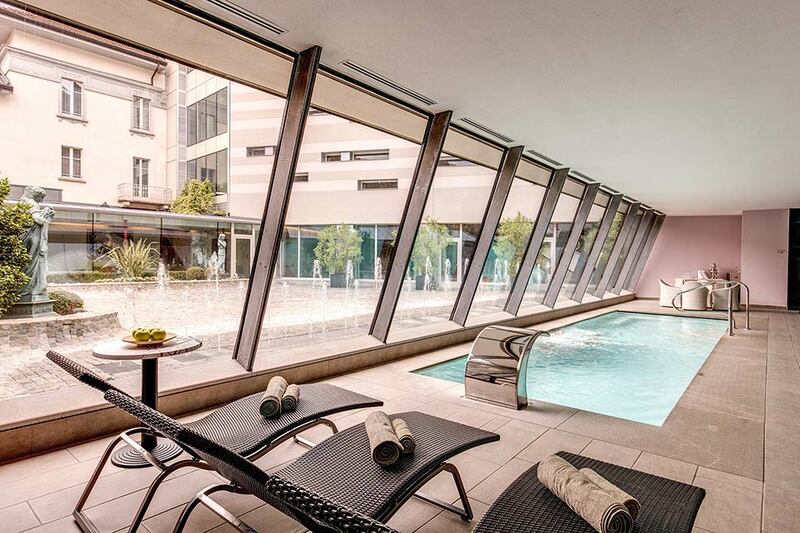 Last but not least, The wellness center that expresses the whole authenticity of the spot: the Moltrasio stone, the water and the colors are a natural continuance of the surrounding landscape. The employed materials and products are genuine and local (the Spa is accessible just over 16). 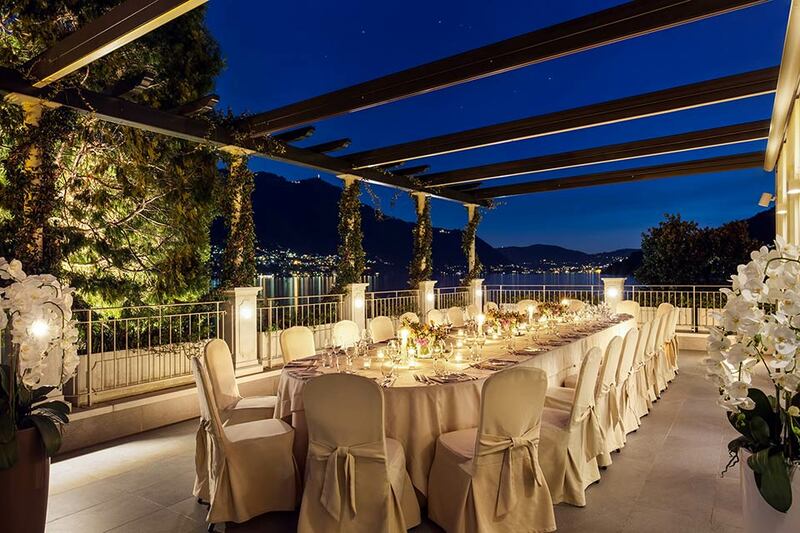 For wedding reception there are two restaurants on site: Imperialino and La Cascata. 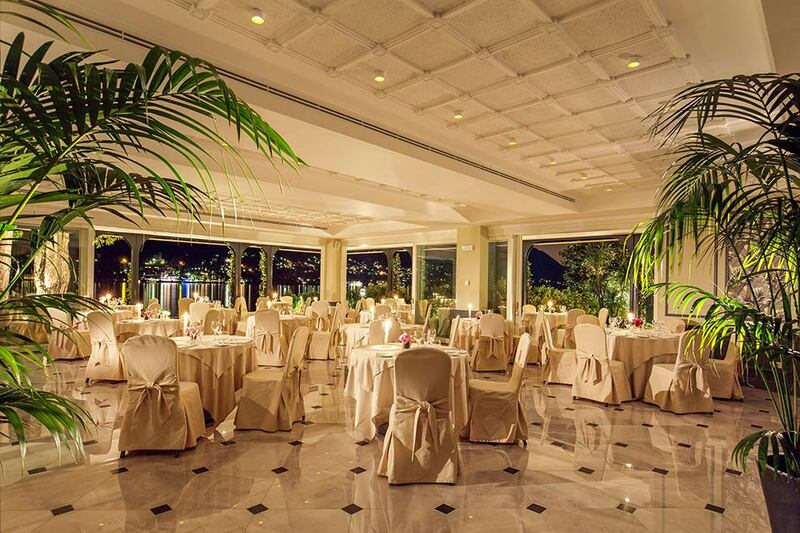 The Imperialino is a gourmet Restaurant with a super top kitchen, supervised by the Chef Sebastiano Adobati. He proposes contemporary Italian dishes, inspired by the traditions of Lombardy and Piedmont regions. On the Michelin guide 2015, it has been recommended with three red forks as pleasant restaurant. 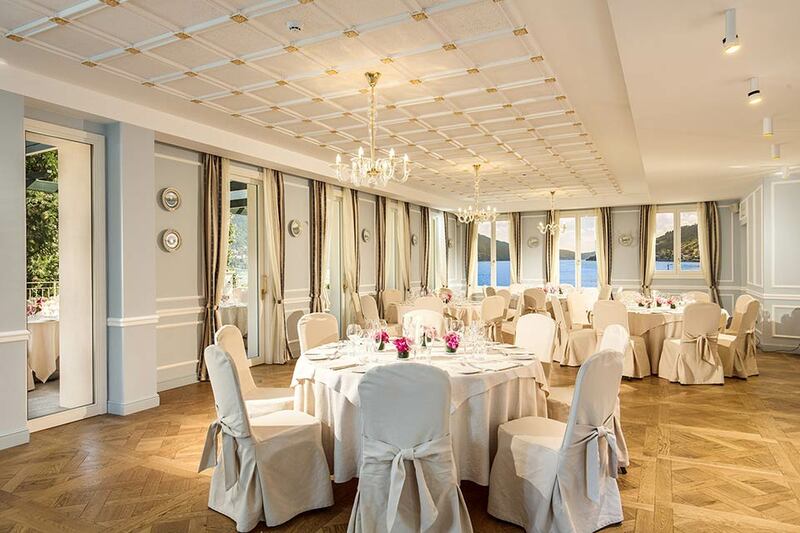 La Cascata restaurant is supervised by the Chef Luca Brescia. 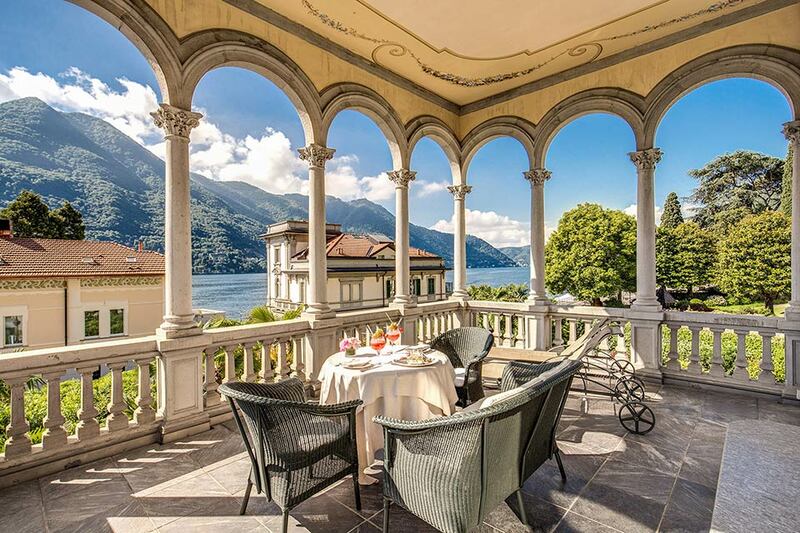 Particularly attention is given to Italian traditions and overall, specialties of the lake and Lombardy territory. The veranda overlooking the garden can accommodate up to 300 people. After the awaited cut of the cake, for the most amusing and informal part of the soiree, many soundproof rooms where you can dance and carry on the party are at your disposal.